Paper compares Czech and German methodology for the disproportionate costs evaluation. 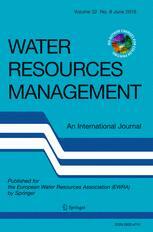 ABSTRACT: The EU Water Framework Directive requires all water bodies within EU member states to achieve the “good status” by 2015/2021/2027. As it has proved to be very challenging for many water bodies, demand for cost proportionality analysis has increased dramatically, because disproportionate costs are one of the justifiable reasons for a deadline extension. This has led to development of many approaches across Europe. Among others, the Czech official methodology based on monetary cost-benefit analysis and the German “New Leipzig approach” based on criteria and cost threshold were introduced in 2015. Both approaches estimate costs of achieving the “good status”, but differ significantly in evaluating benefits. The Czech methodology identifies various categories of benefits, monetizes them and later compares them with costs of measure implementation. The German methodology determines how proportionate it is to spend on measures based on past public expenditures, objective distance to the “good status” and generated benefits. Both methodologies were tested on a small Stanovice catchment in the Czech Republic with similar results, which allows for a comparison of the two approaches they represent. Achieving the “good status” is viewed as cost-proportionate. Application of both methodologies is associated with numerous problems (e.g., data availability, estimate accuracy), which are further discussed in the paper.